Over two days, leading facades specialists will explore the role of the building envelope in designing for resilience through a series of presentations and workshops. Thursday’s symposium features a roster of speakers including James Timberlake (Kieran Timberlake) and Francisco Gonzalez Pulido (JAHN), who will deliver the morning and afternoon keynotes, respectively. Mic Patterson (Enclos), Juan Moreno (JGMA), Jeff Holmes (Woods Bagot), Steve Nilles (Goettsch Partners), and Chris Stutzki (Stutzki Engineering) will also present on a range of topics, from emerging technologies to building for resilience with glass. In an afternoon panel, Matt Jezyk (Autodesk), Zach Krohn (Autodesk), Nate Miller (CASE-Inc.), and Andrew Heumann (NBBJ) will discuss the integration of design, simulation, documentation, and production. On Friday, participants choose from a series of dialog and tech workshops for in-depth exposure to special topics and technologies. Dialog workshops include “Evolution of Breathable Building Facades,” “ReVisioning of Existing Facades,” “Supple Skins: Emerging Practices in Facade Adaptation and Resilience,” and “Off the Grid: Embedded Power Generation/Net Positive.” Tech workshops offer hands-on instruction in Dynamo for Autodesk Vasari, advanced facade panelization and optimization, collaborative design with Grasshopper, and environmental analysis and facade optimization. 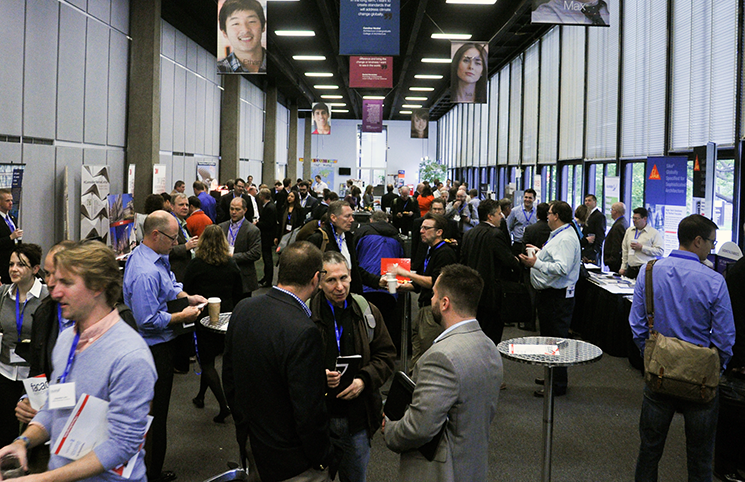 Conference attendees will have plenty of time between symposium events and during workshop breaks to network with other participants and meet vendors. A complimentary networking lunch is scheduled for both days. Thursday evening there will be a cocktail reception at the Adler & Sullivan-designed Art Institute Stock Exchange Trading Room. For more information and to register, visit the facades+ Chicago website. Early Bird registration ends June 29.